Obituary for Frank C. Pafume | Brown Funeral Homes, Inc.
Frank C. Pafume, 67, of Harrisville, RI passed away on November 17, 2018 at his home, surrounded by his family. He was born in Providence, son of the late Carl & Mildred (Carlson) Pafume. He was a US Army Vietnam veteran. Frank was a graduate of RI School of Design. He worked for Texas Instruments. 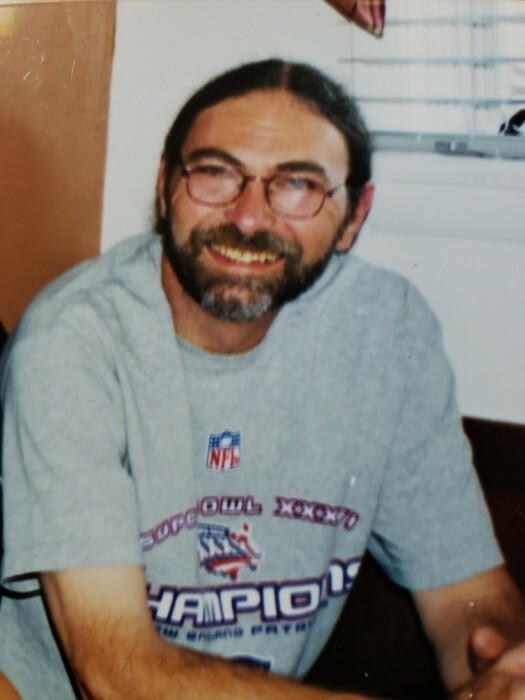 Frank was an avid New York Giants fan and he enjoyed woodworking and bulding projects in his home shop during his spare time. He is survived by his children Jesse Pafume and his wife Tiffany of Harrisville with whom he lived, Nicole and Abigail Pafume both of Loveland, CO, and his three loving grandchildren, Shyenne Benoyer, Maxx Cade and Chloe Pafume. Calling hours will be held Friday from 5-7 pm in the Brown Funeral Home, 1496 Victory Hwy., Oakland. Funeral Services and burial in St. Ann's Cemetery in Cranston will be private. In lieu of flowers, donations in his memory may be made to the NMO Spectrum Disorder Foundation.